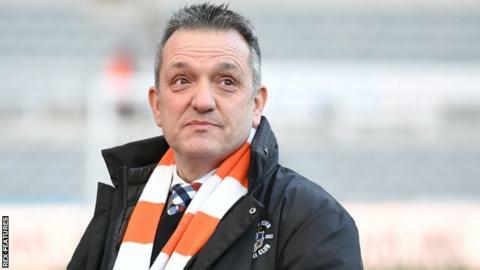 Luton have refused more than £500,000 from gambling companies as they "do not feel comfortable" being sponsored by them, says chief executive Gary Sweet. Nearly 60 per cent of clubs in England's top two divisions promote gambling firms on their shirts. But the board at League One side Luton have repeatedly turned down similar shirt and stadium sponsorship offers. "We don't want to promote excessive gambling behaviour through our support base and our players," Sweet said. "I don't think I'm going to be fired because I'm turning down that kind of income from our board, because together we all think and believe the same things as part of our principles." On Wednesday it was reported gambling companies are reviewing the frequency of sports betting adverts on television following "public concerns". In the Championship - the division above Luton - 17 of 24 clubs have betting advertising on their shirts. "We don't feel comfortable with advertising or carrying a sponsorship of a gambling brand unless we are forced to do so obviously," Sweet told BBC Look East. "Over the years we probably get an offer every year from at least one gambling firm. "I would put it - certainly over the years of our custodianship - of well in excess of half a million pounds lost probably, at a guess, but we're very comfortable with that."